SCH Technologies provide a complete range of conformal coating tapes, dots and masking boots that meet the highest standards required for both liquid conformal coating and Parylene processing whilst ensuring the products are price competitive. Why Select Our Conformal Coating Masking Materials? These materials were developed and tested in our coating services and we now use them as in our standard production across all of our coating facilities. Masking boots that are recyclable are an integral part of a masking solution in conformal coating and parylene applications for PCBs. Our masking boots provide protection for many different types of components for all conformal coating application techniques. We can provide both standard and custom boots solutions for a customer depending on their needs. 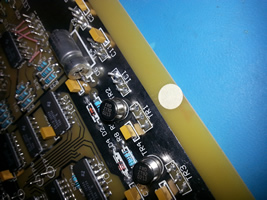 ConnectSafe tape is used for masking components like connectors on the printed circuit board. ConnectSafe is available in sizes 25mm, 38mm and 50mm. 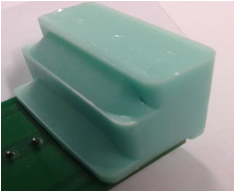 Precise Mask tape is used for masking grounding planes and flat sections such as edges of PCBs. Precise Mask tape is available in sizes 3mm, 6mm, 12mm and 19mm. The SCH range of conformal coating masking dots are compatible with all types of conformal coatings including solvent based acrylic, silicone, polyurethane and epoxy materials plus all of the solvent less conformal coatings. The Conformal Coating Masking dots sizes include 3.2mm, 22.2mm 41.3mm, 127mm and many more. Why Mask Before Conformal Coating? 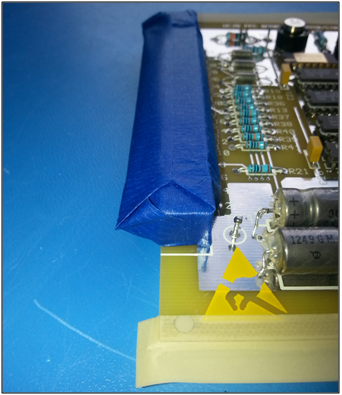 In conformal coating many components and printed circuit board locations must remain uncoated and the purpose of the conformal coating masking materials is to prevent migration of the conformal coatings into components and keep out areas.